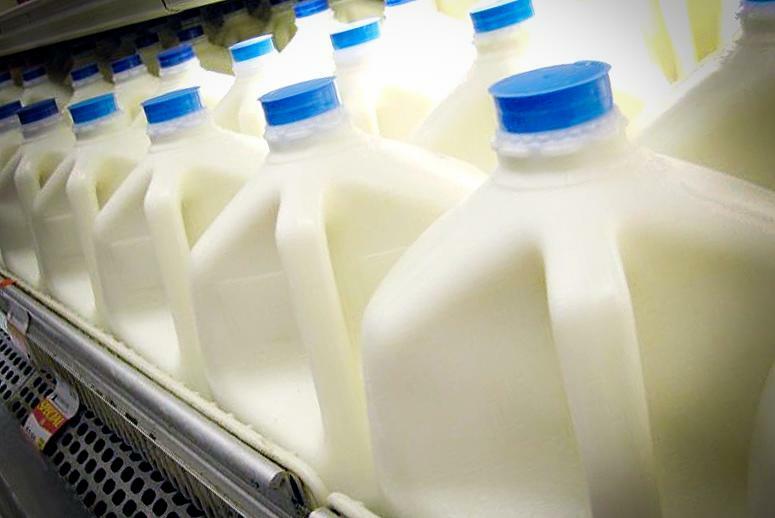 If you’re a dairy consumer, chances are you’ve experienced the nail-biting uncertainty about whether a carton of milk in your refrigerator is still safe to drink. Maybe your power was out for a few hours, so your fridge isn’t quite so cold, potentially putting your milk on the path to spoilage. Or maybe you’re eyeing that sell-by date and wondering how long after it has passed you can safely pour the liquid over your cereal or into your coffee. You might give the milk a sniff, but fear of an upset stomach—or, more likely, fear of the gross, sour taste—will probably drive you to pour the container down the drain. Now, a 3-D-printed “smart cap,” invented by researchers at National Chiao Tung University in Taiwan and the University of California, Berkeley, could eliminate your safe-or-not misgivings. The cap is made of a souped-up food-grade plastic and has wireless electronic sensors embedded in it. When the milk splashes against the underside of the cap, the sensors pick up the presence of any bacteria that indicates spoilage. That’s pretty cool, but it gets better: The sensors are able to transmit data about whether the milk is safe or not, so instead of sniffing the milk, consumers would instead be able to check their phone for a message from the carton. “You could imagine a scenario where you can use your cell phone to check the freshness of food while it’s still on the store shelves,” lead researcher and Berkeley engineering professor Liwei Lin said in a statement. So, Why Should You Care? Despite one in five kids not knowing where their next meal is coming from, Americans waste $165 billion worth of food every year. Along with tossing wilted kale and half-eaten containers of hummus in the garbage, the USDA estimates U.S. residents chuck 20 percent of the milk they buy. Part of addressing the food waste problem is ensuring people feel confident that the food in their home isn’t going to make them sick. To that end, there seems to be a healthy interest in coming up with science- and technology-based solutions. Last year, a student in the U.K. won the U.K. round of the James Dyson Innovation competition with a protein-based bio-reactive food packaging label—it is designed to spoil at the same rate as meat or milk. If bumps appear on the label, you know it’s time to put the item in the trash. The smart-cap team believes the technology could be used for food items besides milk. It believes the technology could be used in the health care industry too—how about measuring your blood glucose level with an implanted version? These sorts of ideas are still in the prototype stage, but the days of the milk sniff test might soon be over.